Bayshore Boulevard is the longest continuous sidewalk in the US and affords incredible views of Tampa Bay. On this tour, hop on the back of a three-passenger motorbike and enjoy a thrilling drive around the bay. 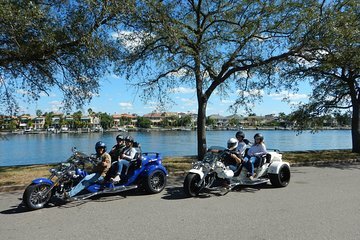 Pass landmarks such as the Jose Gaspar pirate ship, Tampa Convention Center, and Florida Aquarium; explore Davis Island and Harbor Island; and admire the beautiful mansions, marinas, and yacht clubs that line the Bay.